At Boston Spa High School close to Wetherby on the A1, it will be the focal point for the weekend, the centre of social events with catering by Wilf’s and bars and entertainment in the evenings, and the prizegiving ceremony. Traders present on Friday. It is 10 miles from the training day, 30 miles from Day 1, 50 miles from Day 2 and 3 miles from the Relay. Boston Spa is a large village with good pubs, restaurants and takeaways close to the Event Centre. Caravans can be accommodated within the High School grounds, and on-site hot showers are available. St. John’s School, just along the road, will provide space for tents and camper vans, and floor space is also available in the school’s halls, with access to toilet and basic kitchen facilities. 24-hour security will be provided. Pitches should be booked on-line or using the form opposite. 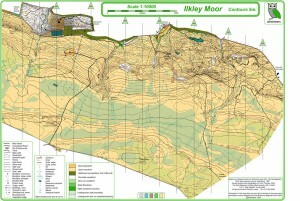 Tourist Information Centres (TIC) in the area include:- Ilkley, York Wetherby Harrogate. For other accommodation links and a link through to all TIC’s in Yorkshire, see where to stay. Day 1 and 2 only – White, Yellow, Orange and Red. Entry on the day only. Free String and off-string courses for the young will be available on Day 1 and Day 2. There will also be a free string course at the Training Event and at the Relays. 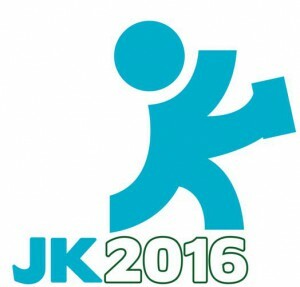 On Friday and Saturday, at the same venues as the other JK events. An ELITE course will be available for pre-entries, with both OPEN and PARALYMPIC classes. All Paralympic entrants will automatically be considered in the Open class. The winners of the Elite JK classes will have the highest cumulative score over the two days. It is hoped to also include a course at introductory level. Unfortunately it has not been possible to arrange the event we said we hoped to stage on Day 2. Instead we have arranged a treasure hunt type event based on minor roads and bridleways around Boston Spa. A4 Maps at 1-50000 , together with a combined description/answer sheet can be bought for £2 at any time over the weekend from Enquiries, and you can participate at any time. The 30 ‘controls’ will be street furniture (lamp posts, street signs, post boxes etc) where you will find the answers to the questions on the sheet. We suggest a time limit of 2 hours, but this is self-regulating. The map scale will be 1:10,000 or 1:15,000 as normal except for the Elite Middle length race on Day 1 which will be 1:10,000 and the Park-O which will be 1:5000. Contour Interval: 5 metres. Dogs are welcome at the events, but not in competition areas. They are also welcome at the campsite. Please keep them on leads at all times and clean up after them. In the 18th century, Capability Brown turned the Temple Newsam estate into ideal park race terrain. By combining gardens, parkland, woodland and farmland, he created a venue for public and elite park races to give the perfect start to the JK weekend. Map purchase and entry is on the day. Ilkley is a small town with a good number of shops, restaurants and cafes designed to cater for the tourist. The assembly area is 5 minutes walk from the town centre. The competition area is mainly rough open moorland with some intricate contour and rock detail. Runnability is mostly good and undergrowth (mainly bracken) should not affect times significantly. Large areas of dense dead bracken will be marked on the map and, as far as possible, avoided by the courses. 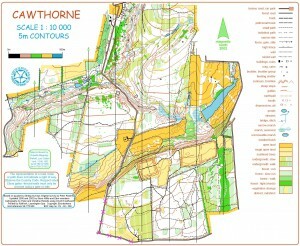 Some courses will use an area not previously used for orienteering. On the southern slopes of the North York Moors, the forest is a mixture of deciduous woodland and coniferous plantation, typically physical but with relatively little bramble cover. The relays use an area of mixed woodland located on the southern edge of the Bramham Park Estate. The woodland is mainly deciduous with some coniferous plantings. Runnability changes between very fast and areas with varying degrees of undergrowth, including rhododendrons. There is a significant track network throughout and a complex ride network in the central ornamental part of the wood. Friday’s competition will be held in the picturesque parkland of Temple Newsam House, sharing amenities with the Park-O and Training. On an extensive path network the scenic courses include gardens, ponds and streams. 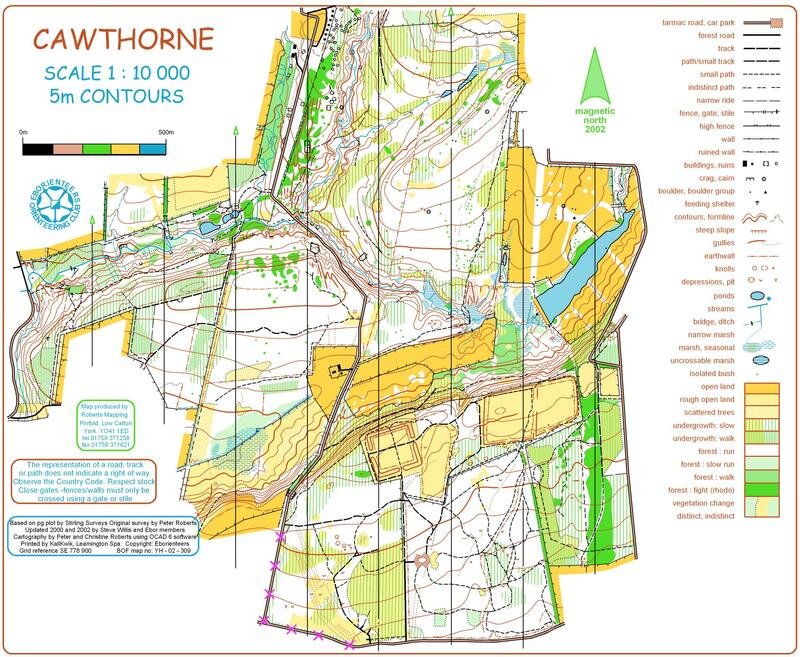 On the day entry will allow Foot-O orienteers to sharpen up their observational skills. 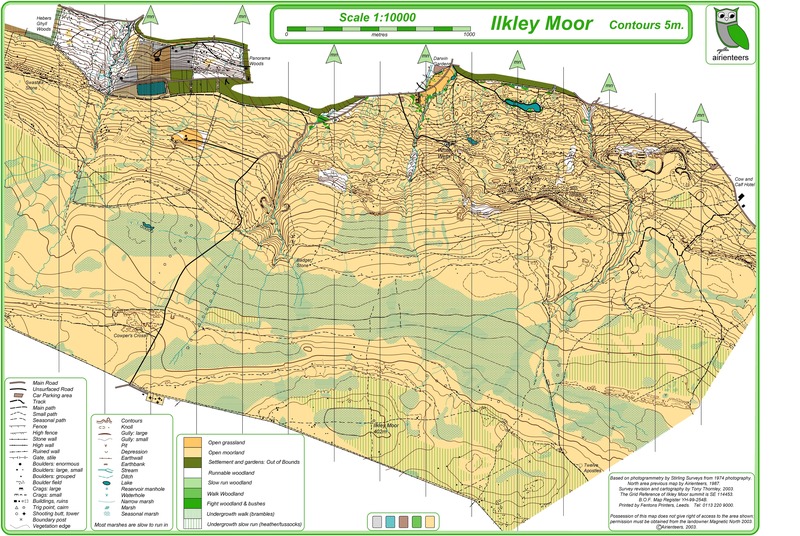 In contrast, the map for the Saturday competition at Ilkley is a fine mixture of rock and contour features, creating a real technical challenge on moorland terrain. Elite competition is a Middle distance race on Day 1 and a Long distance race on Day 2, in accordance with BOF Guideline F. Elite start positions on Day 2 will be the reverse of final positions on Day 1. Entries for the Elite classes will be restricted. If you are not ranked in the UK Cup or Future Champions Cup, please send evidence to support your entry. NO Elite entries will be accepted after 20th March 2006. Day 1 is a World Ranking Event. Estimated winning time for M21E and W21E 25 – 35 minutes. Day 2 is a World Ranking Event. Estimated winning time for M21E is 85 minutes and W21E 65 minutes. Parking at the events will be by parking permit which covers the training, individual days and relay. This should be ordered with your entry and will be sent to you with your event programme. Permits will also be on sale at the Event Centre on Friday 14th. Car/Camper £5.00 Mini-bus £10.00 Failure to display a permit will incur charges of £3.00/car and £6.00/mini-bus for each day. Your access is likely to be delayed. Coaches by arrangement with the organiser. No caravans at any event – on relay day caravans may be left at the event centre by arrangement with the campsite manager. One programme will be sent to the named contact on the entry form. Extra programmes can be purchased from the Event Centre and Enquiries at a cost of £2.00. Extra programmes will be made available for entries of more than 4 people. Please produce your start time confirmation as proof.